When we are eager to purchase certain eBooks out of multiple reasons, we unquestionably hope to get them at budget prices. 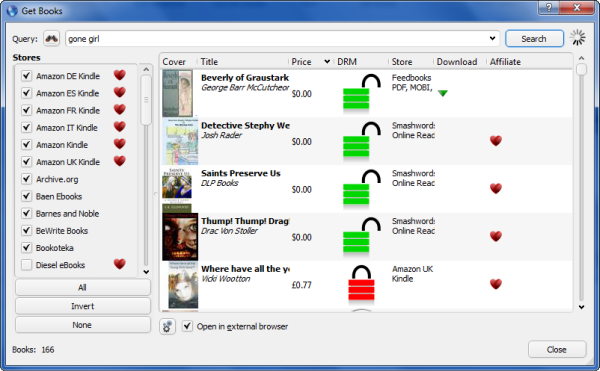 Thus a platform offering eBook titles from diversified stores may well be ancillary to us. 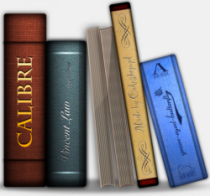 In general, we see Calibre as a powerful tool to convert eBook formats while it is actually endowed with many other functions. This guide explains how to get budget books through Calibre (from 46 given stores). 2. Click “Get books” button on the main panel. 3. Search for books. Here I take one of Amazon’s bestsellers, Gillian Flynn’s Gone Girl for example. Input the title of this book and click “Search” button. Well, you must find many unrelated books listed there, which was the problem I myself have experienced. 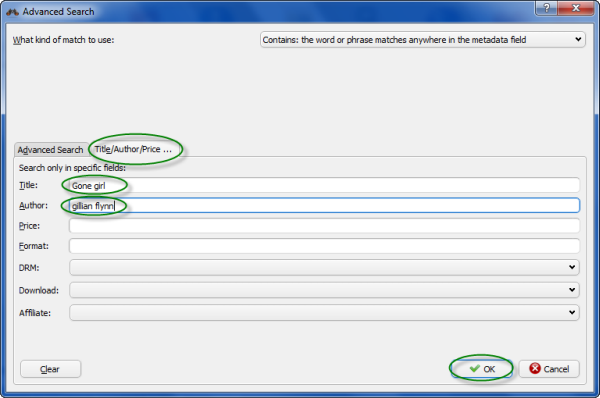 Therefore an advanced query is quite necessary. 4. 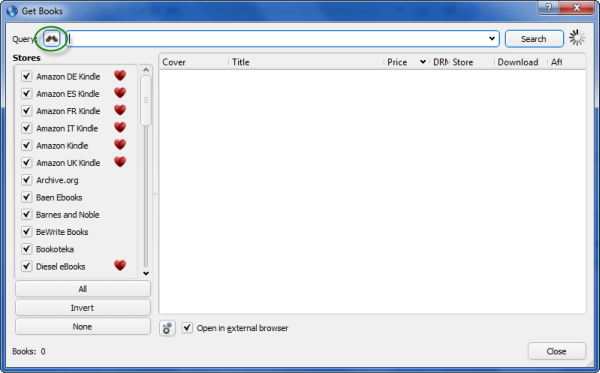 Click “Query” button on the “Get Books” window. 5. Select “Title/Author/Price …” tab on the following “Advanced Search” window. 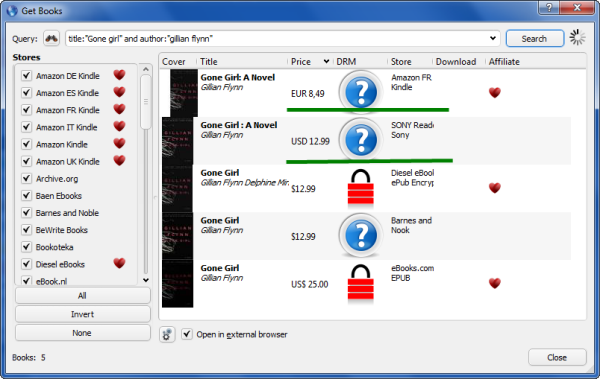 Input “Gone Girl” in the “Title” field, “Gillian Flynn” in the “Author” field and click “OK”. Of course you can type in more details to narrow the results. 6. 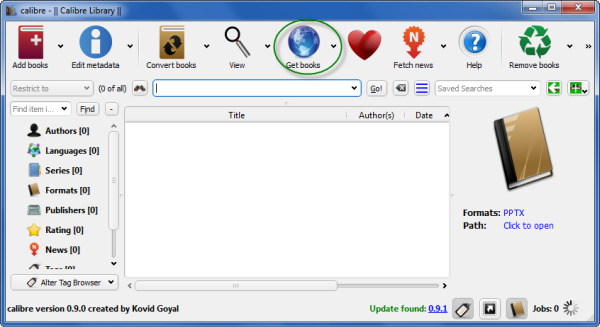 Click “Search” button on the "Get Books" window. 7. You will get the results in several minutes. Book info such as price and DRM status will be given in the content zone. It seems that books from Amazon Kindle are sort of cheaper than books from other stores. 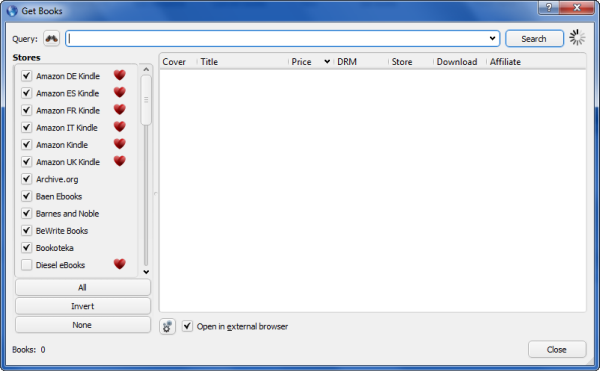 However, when I deleted some data from the search box (left as title: "Gone girl"), the results turned out to be different. There are two British stores offering cheaper price than Amazon regarding that book. Obviously, a number of query trials are helpful to get eBooks at the cheapest price and we are even likely to find out if there is a store better than Amazon, which is currently the best one as far as I know. As an additional function, Calibre might not be able to provide very comprehensive eBook data, but it helps to filter out some stores at least. Never invest your money on one store. Guest Post by AdaWang: Ada Wang currently works for Epubor, which delivers eBook solutions to customers. In addition, she writes blogs concerning eBooks, eReaders and popular electronic gadgets for eBookConverter.